The Mirage III D series was the two-seat training version of the Mirage III E single-seat fighter-bomber. The Belgian Mirage III BE was the only one of the Mirage III B series to be built to the Mirage III D standards. 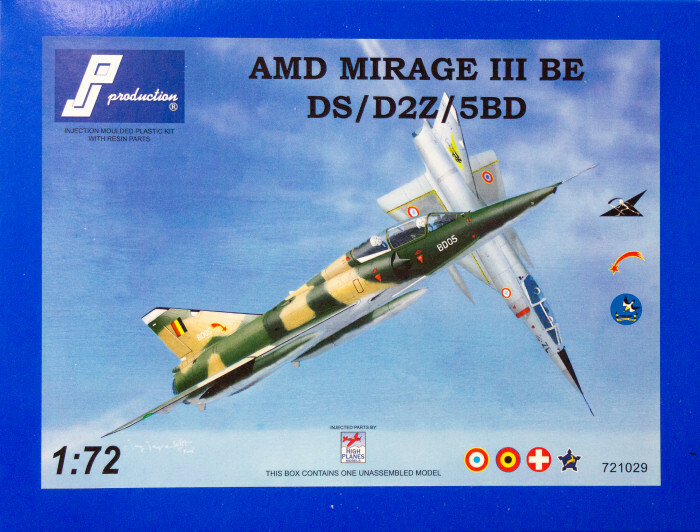 PJ Production has teamed up with High Planes Models to release several variants of the Mirage III BE/D series aircraft. 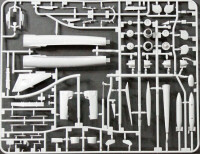 Produced in high-pressure styrene molds, this kit is presented on four parts trees of gray styrene plus one tree of clear parts. Additional parts are also provided cast in tan resin with two reconnaissance noses cast in clear resin. Paint instructions are given in Humbrol, Gunze/GSI, and Tamiya paints with references to FS595 where appropriate. 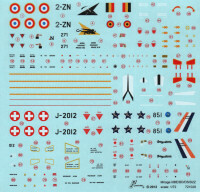 The decal sheet also provides a nice assortment of maintenance stenciling.